Holmes noted that for a very long time, one big design “no-no” was mixing metals, but she now feels that metallics—copper, brass, gold and silver—can co-exist to create an interesting aesthetic. One of her favorite recent finds is a leather pillow with a metallic gold and copper finish that is luxurious and textured in both look and feel. 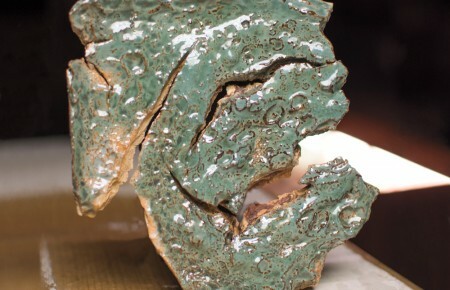 Copper has always been utilized for its ability to conduct heat and electricity. For a long time it was mainly used for pots and pans, pipes and wiring and of course, pennies. Its luscious burnt-orange hue on a row of pots hanging in the kitchen can illuminate a room and make it glow. 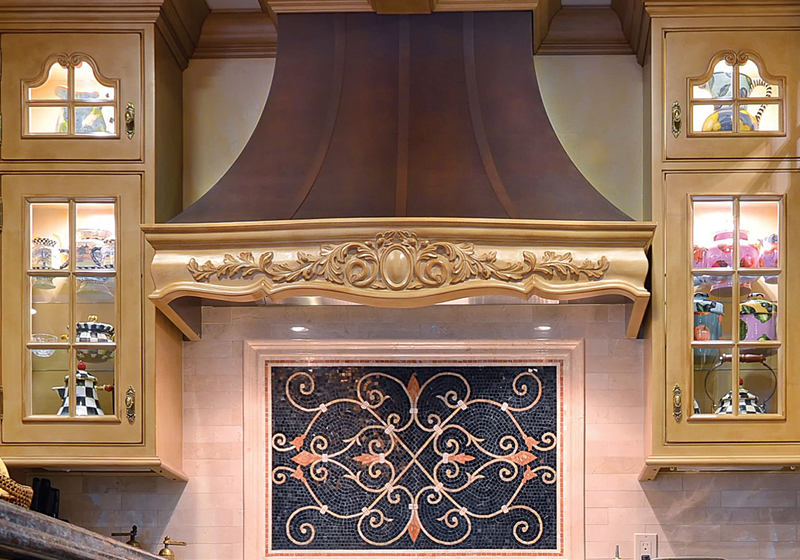 Its malleability allows it to be made into many different types of objects—from bathtubs to stove hoods to tiles—and to take on many finishes. It can be hammered, burnished, shined, polished and also left to develop its signature patina. 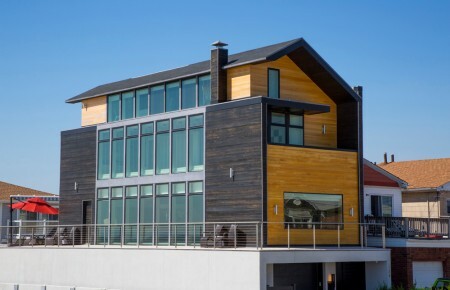 It’s an expensive metal that’s a real investment for the home, but one that can make an impact even when used sparingly. A simple carriage light at the front door can lend a traditional air and a classic green-glass shaded desk lamp is timeless. In copper, these fixtures have an added richness. But for a more unusual combination, a copper and crystal chandelier is unexpected and stunning. 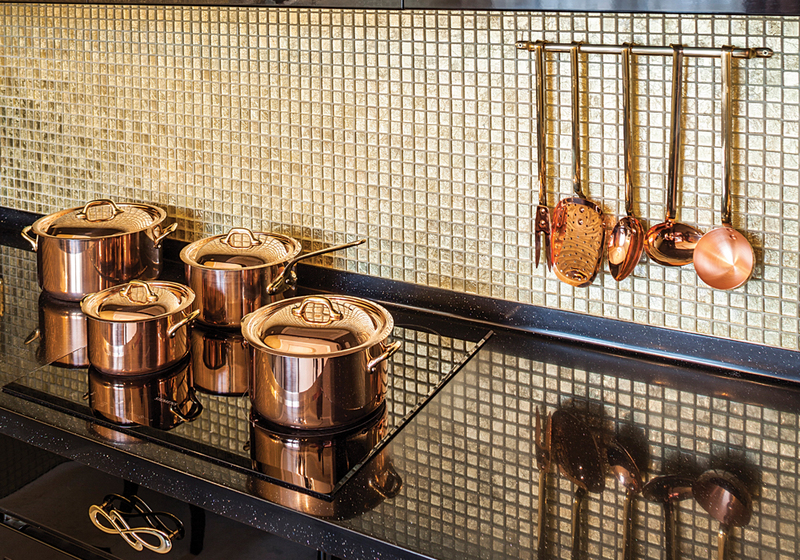 For a recent project, Starck made a burnished copper counter top for a client’s kitchen. Another client requested it as trim on a La Cornue stove. 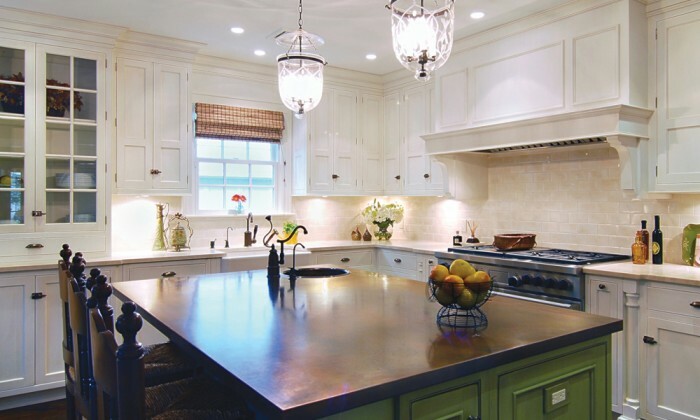 The highly versatile metal can be used in many different ways— sinks, backsplashes, lighting and stove hoods. But one thing to keep in mind is that it can be pricey. And it does require upkeep. “We always explain the maintenance needed with copper,” said Starck. “It must be sealed or treated with a finish, unless our client prefers a patina to develop over time.” However, a little can go a long way. Starck’s designers produce hand drawings and sketches to help clients pair elements, like bronze or antiqued brass, for an elegant look. Like Lichtenstein, he also noted a very minimal use of shiny accessories, which can quickly look dated. “Mixing metals is OK,” said Lisa Loesch of Rockville Centre’s HarLoe Interiors. “And copper is a big up-and- coming trend. Next year it will be huge.” Loesch likes to pair it with colors such as dark navy and kelly green, where the contrast lets the metal stand out. “Imagine copper hardware on black kitchen cabinets,” she said. It also offers an easy way to warm any space with the addition of a few scene-stealing accessories. Place an arrangement of copper bowls on a shelf, candlesticks on the dining room table or mirrors and picture frames on the walls. All are an unexpected switch from shiny silver. 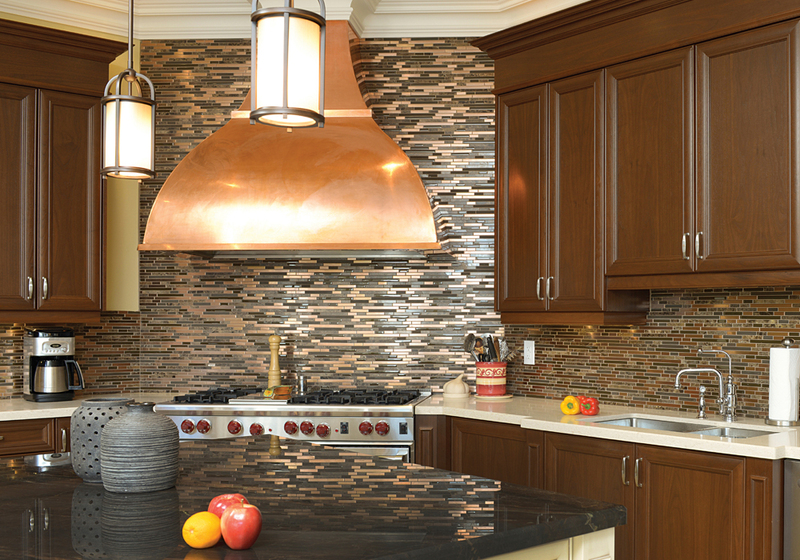 Design experts agree that copper adds warmth to any room in virtually any décor—traditional, modern, industrial and rustic. Its rich and earthy look impacts big-ticket items like tubs and sinks to small details like doorknobs and light switches, the application is only a matter of budget, taste and intention.